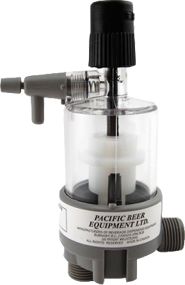 Pacific Beer Equipments renowned high-tech Draught Foam Control device (Beer FOBs), the DFC 9500, stops beer flow immediately after a keg empties, both at the keg and the tap. 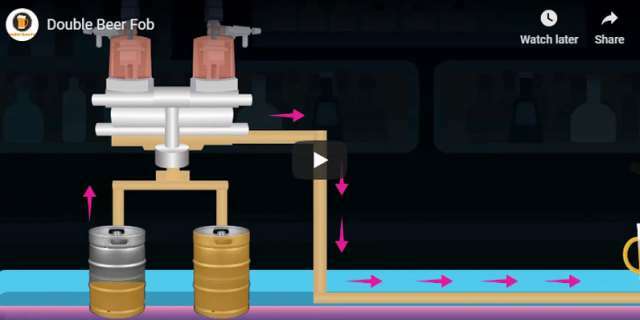 This eliminates the spitting and spraying that usually happens when a keg "blows". And because the DFC 9500 keeps the supply lines full of beer, even when a keg blows, you get instant beer from a freshly tapped keg. That's right — no more time and money is wasted pouring off foam in order to get to the good stuff. Savings for businesses are astronomical. 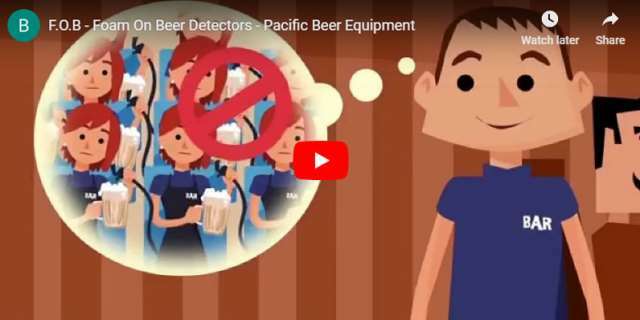 Independent testing by various North American Breweries has shown the DFC 9500 saves an average of one pitcher of beer per keg on a typical long-draw run, much greater savings for stadiums, airports, and hotels. Given that there are approximately 40 pitchers in a keg and based on a volume of 40 kegs per week - bars, pubs, clubs and restaurants would save one keg a week. That's 52 kegs a year! Owners see their return on investment very quickly. Foaming at the end of a keg and when starting a new keg cost bar operators profit from beer wastage at keg change over. Since the DFC9500 keeps the supply lines full during keg change over, this waste and subsequent loss of profit is eliminated. Average potential savings per keg change are illustrated below. Bar and restaurant owners love it because it saves them beer and CO2. Bartenders and servers love it because they're serving beer within seconds of a keg change. Customers love it because they don't have to wait for beer. No wonder the DFC 9500 has made friends around the world. 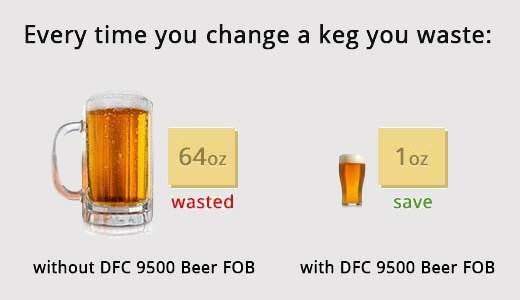 People in the bar/restaurant industry have realized that the DFC 9500 is a must on every keg. Since 1992, the DFC 9500 has become attached to kegs and mounted on cellar walls all over the world. best bar invention since beer itself. Dreher Representacoes, Porto Alegre, Brazil. “Compact, simple to operate. Positive results have paved the way for success of the DFC 9500 in Japan.” BLM International, Osaka, Japan. Host Marriott Corporation, Washington D. C.